An action packed day wildlife spotting on water. 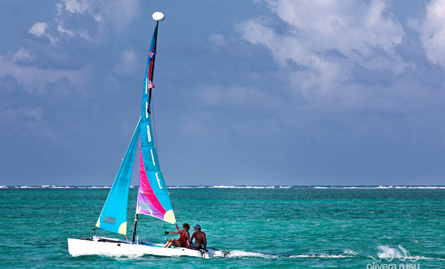 Venture out of the lagoon side of Ambergris Caye to the back of the island. Look for birds at Bird Caye, then travel north to Bacalar Chico national park, where there is a Mayan trading post that has a small exhibition of information and artifacts. Look out for crocs and manatee as you weave through the mangroves bordering Mexico, then out into the sea for a spot of snorkeling and fishing. Your catch is then barbecued on the beach for you to feast on – an opportunity to enjoy the fruits of your labor. Take off at your own pace and discover the wildlife of the lagoon territory, or paddle in the calmer waters inside the reef, tie up to a buoy and snorkel to your heart’s content. Canoes are more common inland and there is some great bird watching to be done on Mopan and Macal rivers near San Ignacio.